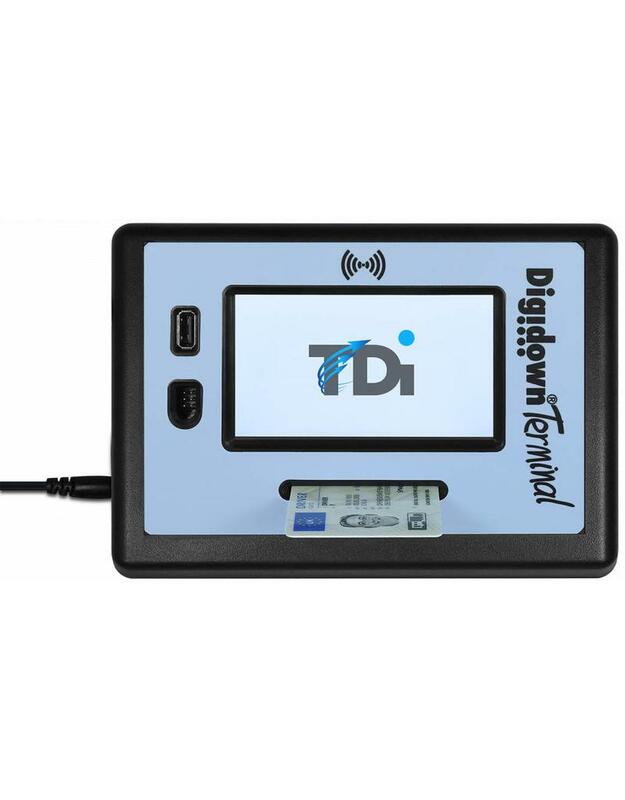 Digidown Terminal is a genuinely universal tachograph data collection point with a range of mechanisms for sending the data to where it is needed. 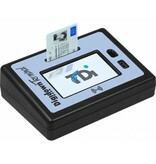 It will read data from any driver card when it is inserted into the card slot. Reading is automatic and progress of the data download is shown with a progress bar on the colour touch screen. 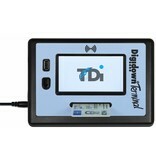 The Digidown Terminal will also read data automatically from standard tachograph data download tools with USB connections including Lisle Design's Digidown range. In addition it will read data automatically from download tools with no USB connection. It then sends this data direct to an FTP server wherever the customer wants, whether it's a transport office or analysis service. There is a choice of connection (Wired network, Wireless network or GPRS). Where the service used to handle the tachograph data is not set up to receive data data via an FTP server a small software utility is available which will collect files automatically at user-determined intervals and place the files in a standard local or network folder. 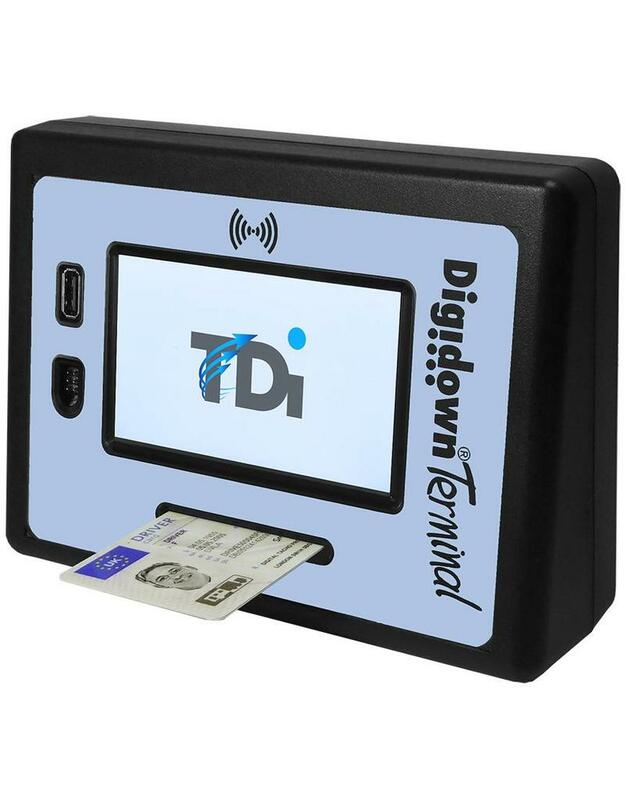 The transfer of data is automatic and above all secure, as the data will go only to the location configured on the Digidown Terminal. Robust black case suitable for fixing to a horizontal or vertical surface. 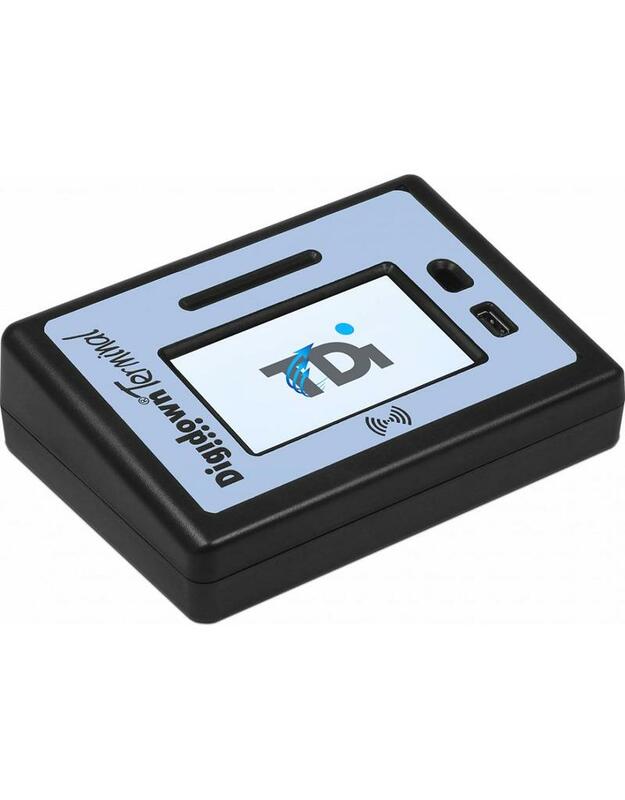 Integral tachograph smart card reader, downloads card contents automatically whenever a card is inserted. 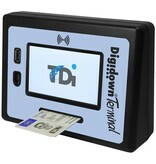 Integral USB host port, reads data automatically from download tools which appear as USB memory devices. Integral 6-way connector reads data automatically from download tools which do not have a USB connection. Option of sending data onwards by Wired LAN (Ethernet), Wireless LAN or GPRS (2G). Data can also be collected direct from the unit using a standard USB memory stick. Internal non-volatile memory stores data when a network connection is not available. Works straight out of the box - Universal solution for data collection and data forwarding. Easy to fix to a wall or flat surface, and easy to use. Saves money - use any standard download tool. Improves user experience - downloads card contents automatically, with a clear progress bar on the colour screen. Saves time - automatic data transfer with choice of Ethernet, Wireless or GPRS. Improves security - data will only be sent to location configured on device. Easy to set up - little or no IT involvement required. 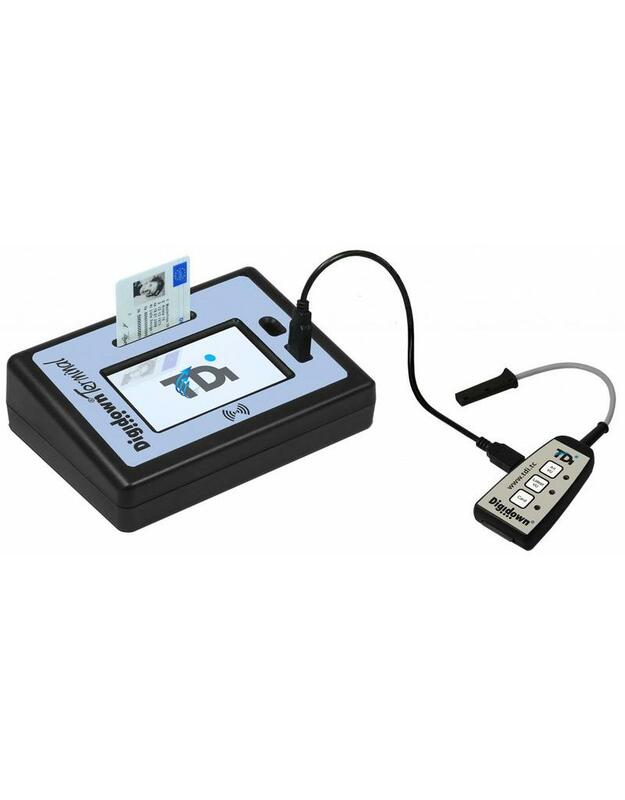 Aids compliance - works with all Drivers hours and Working Time Analysis Software (including our tachograph analysis service disc-check).